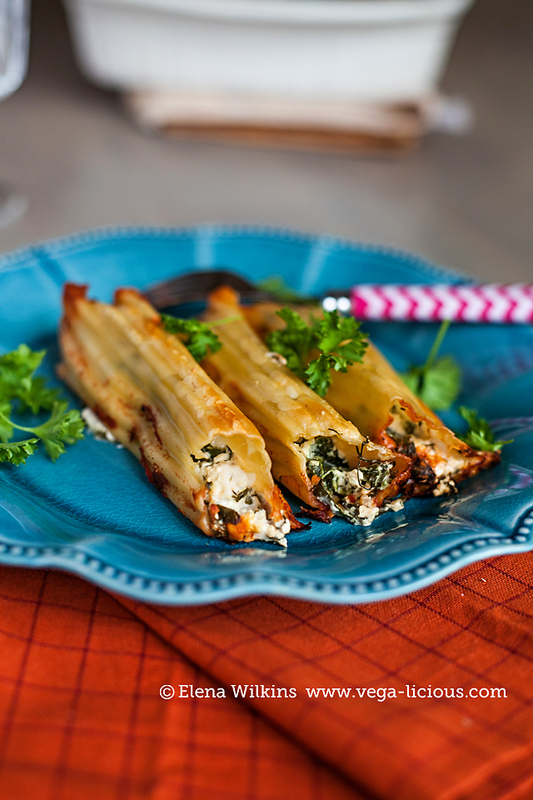 I know, I know — I teach a low fat diet, but I am about to load your plate with a guilty pleasure — manicotti! 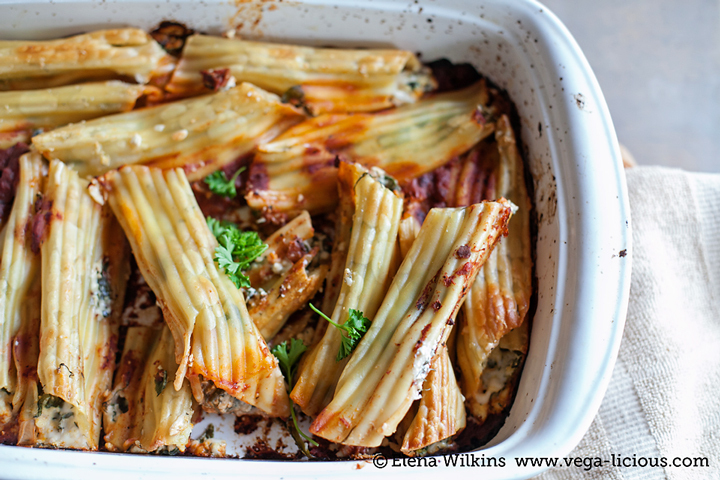 While my vegan manicotti recipe is much lower in fat than the traditional rendition of this recipe, I shamelessly use vegan cheese in it. Since I make this dish only about once a year, I have no regrets doing it. My husband loves it. And it is especially perfect for those times when you are entertaining non-vegan Italian and comfort food loving guests. 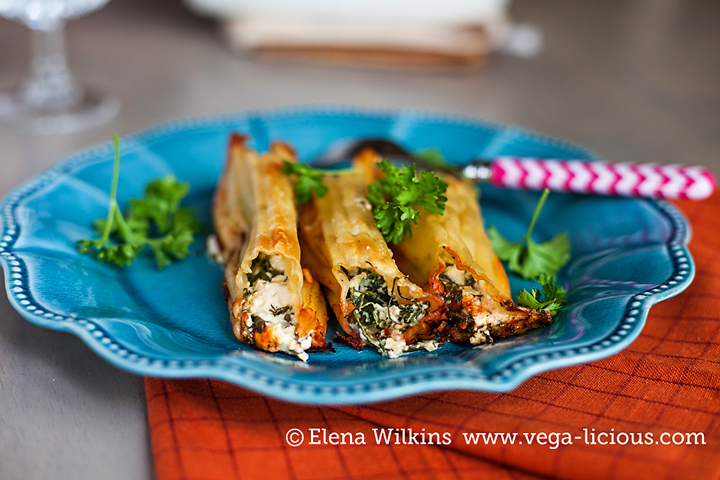 When I made manicotti to take images, I had a couple of non-vegans over; one of them admittedly said that she could not live without cheese. When she was tasting my manicotti, I did not tell her what was in it — impressively, she enjoyed it! I love to pour extra spaghetti sauce on top of my manicotti and highly recommend you do the same — it makes it all taste divine. Prepare pasta according to instructions (do not overcook it. I cook mine for 6 minutes). 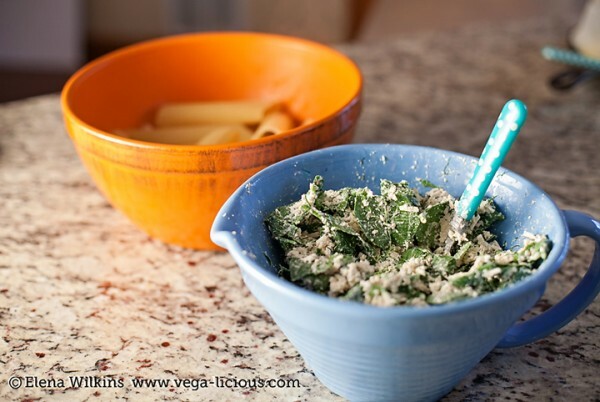 While pasta is being cooked, mix grated cheese, tofu and cream cheese, salt to taste. Wilt spinach over light heat a little; add to cheese mixture, along with dill. When pasta is ready and rained, remove it from hot water and put on ice, then fill each tube with the cheese mixture. 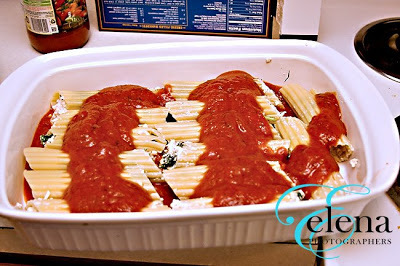 Spread about ⅓ of pasta sauce on the bottom of a baking dish. 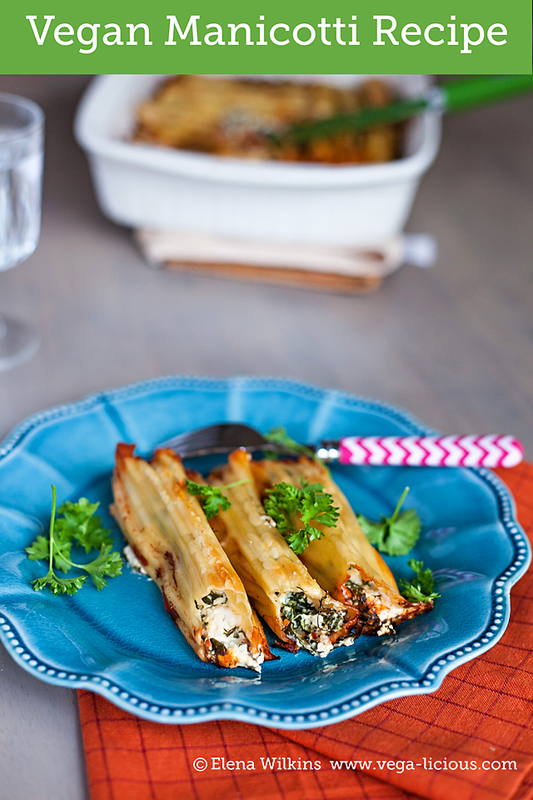 Lay stuffed manicotti over it. Spread ⅓-1/2 of remaining pasta sauce over it. Keep some for plating. Cover baking dish with foil and place in the oven. Spread remaining sauce on plates. 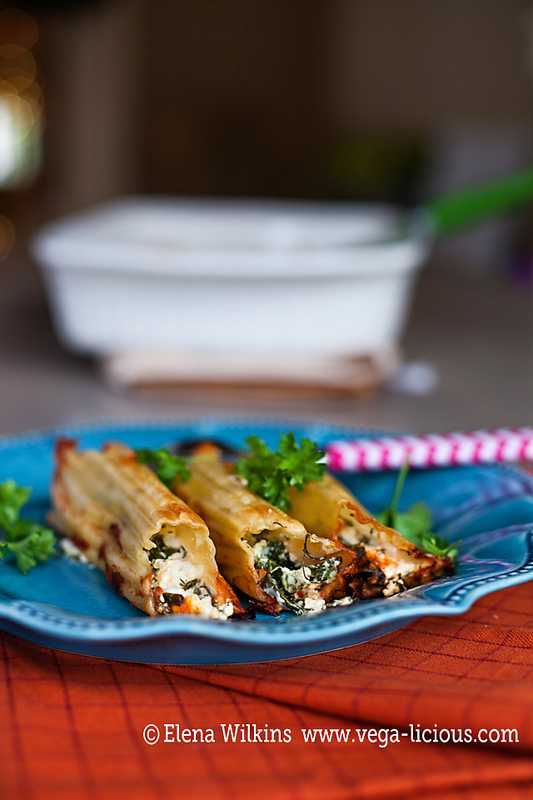 Serve hot manicotti over it with a delicious green salad of your choice. Make this dish for Christmas! Enjoy the little vegan guilty pleasure and let me know what you think of it.